If you read the book of Phillipians, you will see why PRAYER MUST ACCOMPANY THANKSGIVING….The answer is right there in the bible….if we pray WITH thanksgiving…we will have peace. Does it make sense? It doesn’t have to if God says it. That’s all I needed to hear. So when someone comes to you for prayr; explain it to them. It will make a huge difference. I want to know Christ and the power of his resurrection and the fellowship of sharing in his sufferings, becoming like him in his death, and so, somehow, to attain to the resurrection from the dead. Not that I have already obtained all this, or have already been made perfect, but I press on to take hold of that for which Christ Jesus took hold of me. The Power Of His Resurrection! There are three types of prayer categories and each one contains a variety of people. This is a Christian perspective. I do not pretend to know the dictates of any other group. 1. The first group is people who don’t pray at all. It could be because they don’t believe in prayer. It could be because they don’t have time. There are some cases of pessimistic people who have no hope. 2. The second group is people who think about what they want to pray about. They actually talk to God and the truth is that it is a form of prayer. I respect it because that’s how I started. It’s a wonderful place to be because God hears and answers and in this position one knows that God is real. 3. The third group is a huge variety of people. It may take me a little while to describe the many prayer styles. A. Some people get on their knees and pray. B. Some people lie alone on a floor, on a bed or somewhere alone on their face and pray to God. C. Some people pray through the night hours. D. Many people pray daily and some several times throughout the day. E. I know people who are so dedicated in prayer that they pray specifically as led nby God for people in far away places. There are people that are selected to pray for very specific things such as: crime, government, leaders, countries and all sorts of things. I have a friend who prays for Israel. That’s her assignment. I could go on and on.There are a select few that travel in prayer. You may not understand or believe this; though many travel physically…I have…some travel supernaturally. 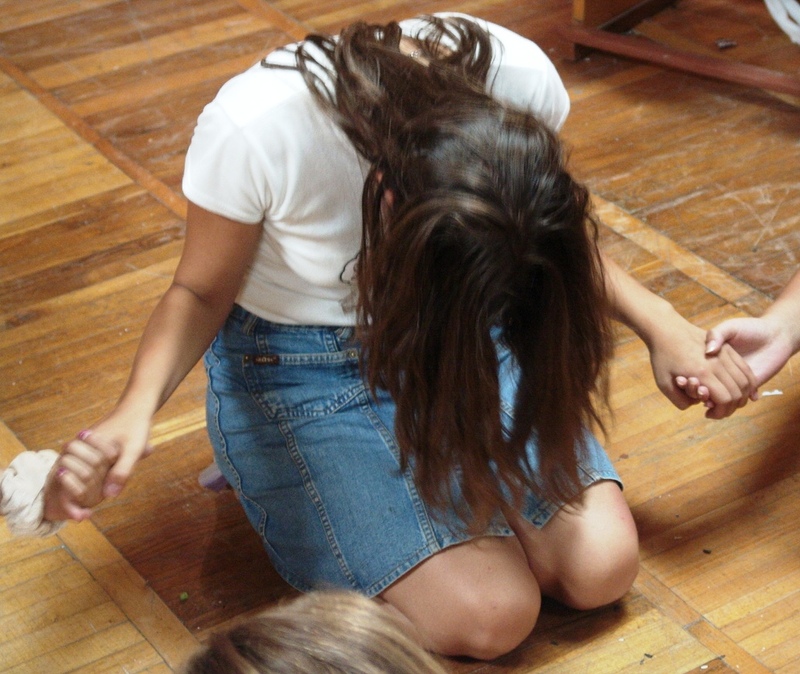 There are people who are accustomed to prayer…they believe in it because they know it works. There are always higher levels that can be reached in prayer. Having a stable prayer life increases one’s faith. It’s 2013 and as we will see God’s great grace to the magnitude that has not been seen…it’s an excellent time to step up our prayer lives! Change The Way You Pray in 2013!